It's not easy being a Haruomi Hosono fan here in North America, or at least if you're one with a taste for vinyl. Despite Hosono having a long and celebrated solo career and playing in such legendary Japanese acts as Yellow Magic Orchestra, Happy End and Apryl Fool, his albums are frustratingly hard to come by, making news of a new reissue great news indeed. 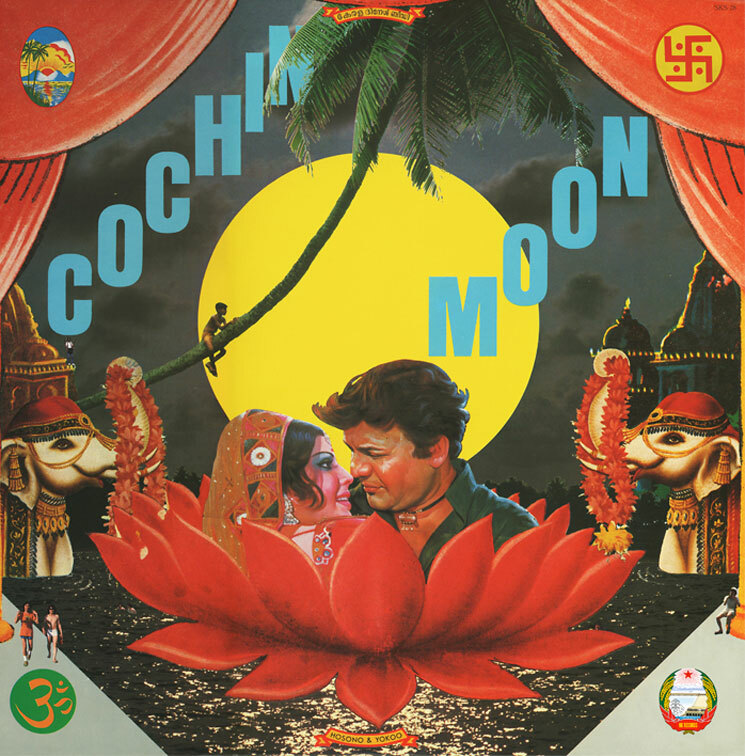 Come June 5, Hosono's exploratory 1978 solo album Cochin Moon will get a much-deserved vinyl reissue here in North America. Only 500 copies of the reissue are being pressed. It features a tapestry of weird floating electronic grooves parsed within menacing rants of jungle birds and night sounds. Fans of Ash Ra Tempel's guitarist Manuel Gottsching's E2-E4, Cluster, Achim Reichel & The Machines, or even Aphex Twin, will be in heaven with this electronic psychedelic trip of sounds and colours. Way ahead of its time, this is a magical treat from beginning to end. The reissue preserves both the original tracklist and cover art, which was done by famed Japanese artist Tadanori Yokoo.